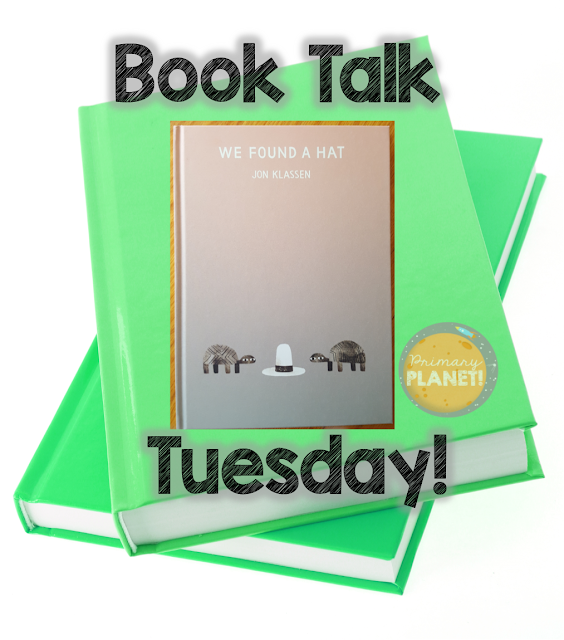 Book Talk Tuesday: We Found a Hat. | Primary Planet! Book Talk Tuesday: We Found a Hat. Today's Book Talk Tuesday is about this great little book by Jon Klassen called We Found a Hat. He is also know for two other "hat" books: I Want My Hat Back and This is Not My Hat. This book is a lovely tribute to friendship in three parts. "We" are two turtles who come upon a hat. It looks good on both of them, but there are two turtles and only one hat! They decide that they will leave the hat and try to forget about it and move on with their lives. This is a bit easier said than done. This book would be great for a conversation about problem solving. How could these friends solve their problem? What would you do? I have made a fun little freebie to go along with this book. The kiddos work with a friend to create a hat that they will give to their friend. This would be a great activity for getting to know a partner as they are making a hat not for themselves, but for their partner. They will need to talk about what kind of hat their partner would like. What colors? Any designs? If you would like to get your own copy you can click the link and go straight to Amazon. If you make a purchase from Amazon I will receive a small commission at no cost to you. Thank you for your support! Perfect timing! 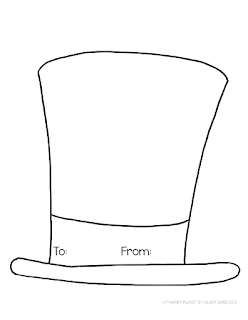 I just read all three books in the "Hat" series to my class, and the kids loved all the books. A lot of them want to write sequels - HA - we'll see about that - I hope one of them does. Such great books! Your academic excellence is our team’s business, and we are going to work really hard to impress both you and your professor who decides on your grade, have a peek at this link to find more!